Strategy Development and Software – Hazard Trac. Significant financial savings are available by implementing an efficient hazardous area equipment maintenance strategy and utilizing software that is capable of analyzing company set KPI’s on the success of the strategy. OCS Group has helped multiple companies in developing their company strategy and implemented this on our in house developed software, Hazard Trac. Hazard Trac is the world’s leading Hazardous Area management software that is currently being utilized by operators and drilling contractors globally in both the upstream and downstream markets. The software reviews risk, improves compliance, increases safety and reduces costs by analyzing inspection and maintenance results in a consistent manner. The inspection software runs on approved PDA’s and manages inspections and continuous maintenance schedules. The deliverables are ITR’s, CAR’s, HAER, Document management, orders equipment, manages inspection and maintenance activities and importantly analyses performance against the inspection strategy (KPI’s). No matter how technical your strategy is, or what maintenance system your company uses, Hazard Trac can integrate with your existing system or can be used as a standalone system. The main goal being, “Cost Savings’ and “Improved Equipment Reliability with measured results”. Installation, Commissioning and Dossier Generation: During the installation & commissioning phase of an asset the hazardous area equipment needs to be installed, inspected and documented correctly to ensure compliance. This initial inspection is critical to ensure that all equipment is correctly installed so that a good baseline has been established this then can be used as a starting point to form the basis of a maintenance strategy that will best suit your asset and maintenance requirements. OCS Group is a leader in developing and providing this service and if completed correctly and by using the PDA software will make the maintenance process much more efficient with exceptional cost savings can be realized over the asset life cycle, this can be demonstrated by making a business. Inspections: OCS Group is the industry leader in providing global hazardous area inspections, with clients consistently requesting repeat services. Our technician and inspectors have many years of experience and have to undergo our stringent in house training. 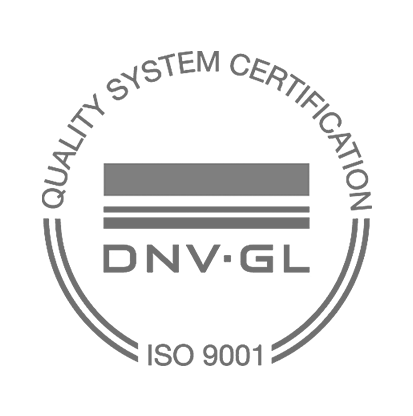 This process ensures that the inspection is completed to the highest of standards. 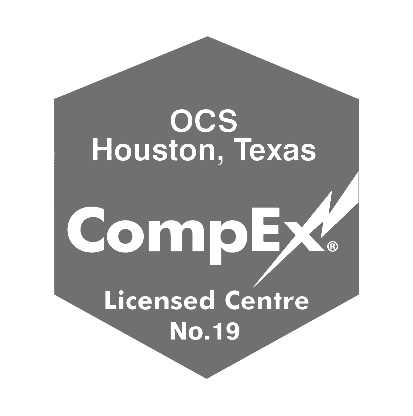 OCS Group completes the inspections as required based on the company strategy and/or appropriate Jurisdiction: For example – (IEC 60079 only requires every 3 years, Australia is every 12 months – despite Australia following IEC), or a company may have developed a maintenance strategy. Audits: As required or deemed necessary based on the company strategy. Audits can be completed to ensure compliance with regulations or the chosen strategy; this may only be a day or two day process pending the size of the asset and will ensure that past inspections are effective. Most companies take a periodical approach to their Hazardous Area Equipment Inspection Management which inspects all equipment over a certain period of time; this may be 3 years or 5 years. Some companies may do visual inspections while others may select to do a percentage of detailed inspections and others a combination of visual and detailed inspections each year until all equipment has been inspected over the cycle period. This process is then repeated. Variations of this process may vary pending local “Statutory Requirements”. An alternative approach would be to develop a “Risk Based Inspection Strategy”. This looks at the management of the equipment in a different manner than in a periodical approach which may be more effective for your operation, especially where large numbers of equipment are involved. This strategy takes into condition of ignition risk criteria and forms the basis of a Risk Based Assessment approach that will give a high level confidence that the Ex integrity of the installed equipment is being maintained. The advantages of this approach is that it significantly reduces the number of pieces of equipment needed to be inspected by only inspecting a proportion of the total equipment. When adopting a risk based approach a thorough review of the equipment is required such as, location/environment, protection methods and ignition risk including various factors are taken into consideration. This information together with a solid base of historical collated inspection information and fault records is required to form the basis of a Risk Base Strategy. Using this data, a sample inspection process can be determined that would be dependent on the risk factors mentioned above which governs a percentage of inspections to be conducted for various lots. The success of this process requires measured and accurate KPI’s that will justify your approach; these are reviewed annually to ensure that the integrity of the equipment has not been reduced past a predetermined level known as the “As Low as Responsible Partible” (ALARP) principles. 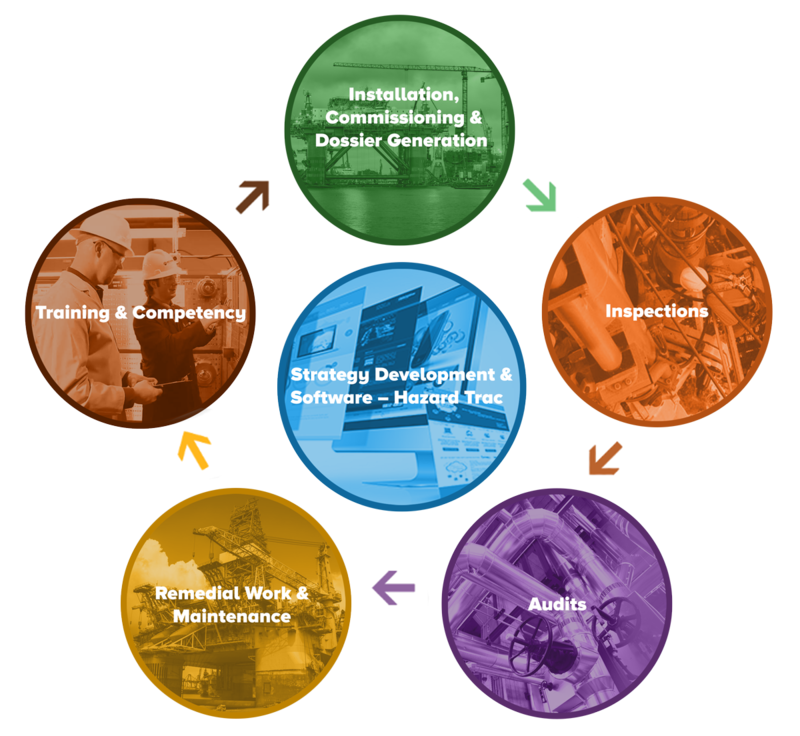 OCS has a developed a “Software Solution” that can manage this process effectively and this can reduce you costs significantly over time while maintaining the integrity of the equipment and improving the total results of the inspection process. For more information on the individual services involved within the hazardous area lifecycle management please visit their individual pages below.